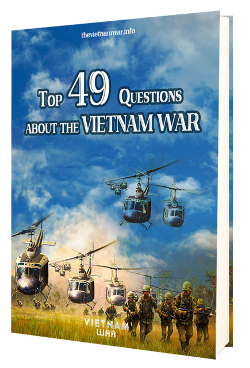 Home > How did the Vietnam War start? On May 07, 1954, Viet Minh forces won the Battle of Dien Bien Phu and ended French involvement in Indochina. This victory led to the Geneva Conference where the French and Viet Minh negotiated a ceasefire agreement. Under the terms of Geneva Accords, France agreed to withdraw its troops from Indochina while Vietnam was temporarily divided into North and South Vietnam, led by Ho Chi Minh and Bao Dai respectively, at the 17th parallel. Civilians were able to move freely between two states for a 300-day period. General elections were to be held within two years, by July 1956, to unify the country. However, the accords apparently did not please the United States. First, they feared that the general elections would not be fair and free under the communists’ influence. Second and most importantly, if the communists won in Vietnam, communism could spread throughout Southeast Asia and become a greater threat to the U.S. In a letter to Ngo Dinh Diem – the new Prime Minister of the Bao Dai government on October 23, 1954, President Dwight D. Eisenhower promised American support to his government to ensure a non-communist Vietnam. Following through on that commitment, American aid to South Vietnam began as early as in January, 1955. The Military Assistance Advisory Group (MAAG), Indochina was also re-organized into MAAG, Vietnam to train South Vietnamese army. By early 1955, Diem had consolidated his power and control over South Vietnam. He also launched many political repression and anti-communist campaigns across the country, in which 25,000 anti-government activists and communists were arrested and more than 1,000 killed as claimed by the communists. In return, communist insurgents also assassinated hundreds of South Vietnamese officials. In July 1955, Diem rejected the national election, claiming South Vietnam was not bound by the Geneva Accords. In October, he easily ousted Bao Dai and became President of the new Republic of Vietnam (ROV). Nevertheless, Diem’s political repression and attacks on Buddhist community made him more and more unpopular among ordinary South Vietnamese people. Realizing the increasingly unpopularity of Diem regime, Hanoi established the National Liberation Front (NLF), better known as the Viet Cong, on December 20, 1960, which consisted of all anti-government activists – both communists and non-communists, as a common front to fight against Diem. In spite of spending a great deal of time and efforts against the Viet Cong and anti-government activists, Diem did not show that he was capable of defeating the communist insurgency. As a matter of fact, some policy makers in Washington even suspected that he might be in contact with Ho Chi Minh. In the middle of 1963, Washington’s outrage and dissatisfaction with Diem regime was communicated to South Vietnamese military leaders, showing their support for a new government. On November 2, 1963, Diem and his brother Nhu were assassinated in a coup to overthrow him. Taking the advantage, North Vietnam decided to pursue a more aggressive policy in South Vietnam as suggested by First Secretary Le Duan and quickly increased their support for the Viet Cong. A Vietnamese Buddhist monk self-immolates in protest in 1963. On November 24, 1963, Lyndon B. Johnson who succeeded J.F. Kennedy as President after the latter’s assassination, stated “strength” and “determination” must be used in the battle against communism, which confirmed his intention to continue American military and economic support to South Vietnam. One year later, the Gulf of Tonkin incident, known as the USS Maddox incident, occurred involving three North Vietnamese Navy boats. This incident urged Congress to approve the Gulf of Tonkin Resolution on August 7, 1964, giving the President the power to use armed forces to stop communist “aggression” in Southeast Asia. On March 2, 1965, the Johnson administration launched a strategic bombing campaign known as Operation Rolling Thunder in response to a Viet Cong attack on a U.S. air base at Pleiku. This was also an attempt to reduce North Vietnam’s support for the Viet Cong and boost morale in South Vietnam as well. On March 8, 1965, 3,500 U.S. Marines were sent to South Vietnam marking the start of American ground war. American troops then increased rapidly to almost 200,000 in December. 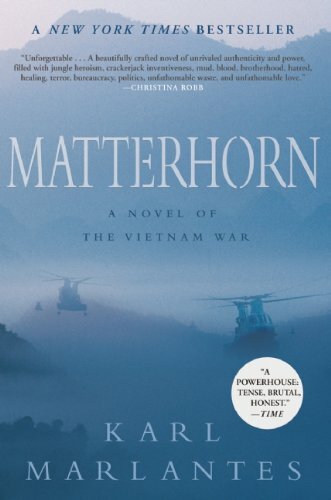 Washington showed that they wanted to make a serious move into the Vietnam War. Previous Post: What was Paris Peace Accords? Next Post: What was the impact of the Vietnam War?